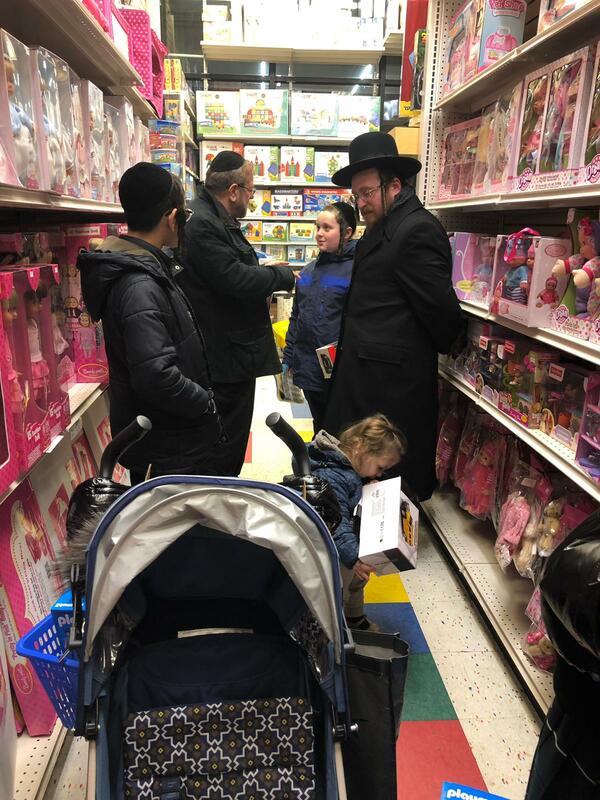 Brooklyn, NY - Countering an act of hate with an act of kindness, a Borough Park grandfather reached out to the victim of this week’s latest shoving attack in Williamsburg, taking him to a local toy store for a pre-Chanukah shopping spree. As previously reported on VIN News (http://bit.ly/2TXQT40), a nine year old Chasidic boy was pushed to the ground by an unidentified teen as he walked down a Williamsburg street this past Sunday. Seeing security footage of the attack, Well known Real Estate Investor, Manny Krausz felt compelled to do something concrete to counteract the hatred he had just witnessed. 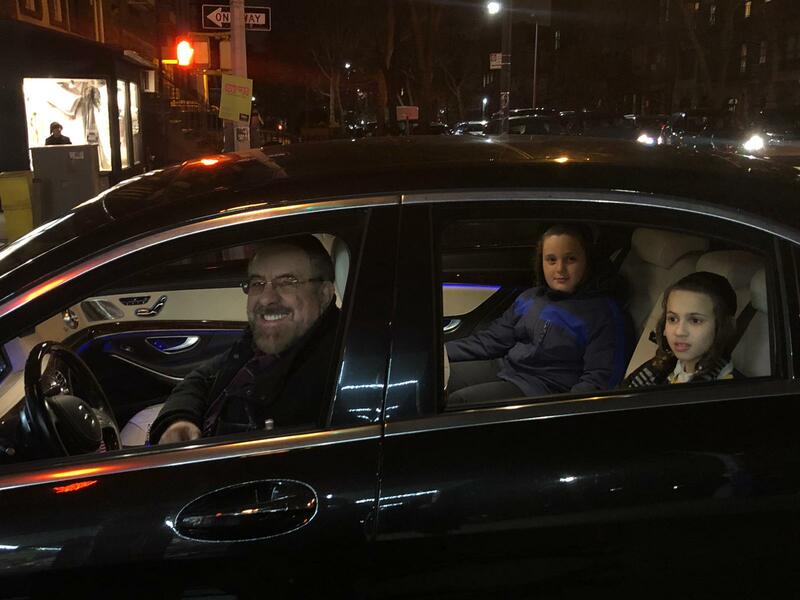 “This was an innocent child minding his own business, and I wanted to take action to show an example to a lot of Jewish people that you cannot just listen to the news and say ‘oy nebach’ and continue with your routine,” Krausz told VIN News. Having heard stories of his own grandfather being so upset that he was unable to speak for days after being shoved to the ground in an anti-Semitic attack in Hungary during World War II, Krausz could not fathom the thought of a nine year old boy suffering the mental anguish of having been victimized simply because he was Jewish. Krausz said that it took considerable effort to locate the victim of the violent incident, ultimately succeeding after contacting the family of another child who had been recently attacked in Williamsburg. Contacting the parents of Sunday night’s attack victim, Krausz asked for permission to take the boy, identified only as Shlomo Zalman, to the toy store for the opportunity to shop to his heart’s delight. The Wednesday night trip to Toys 2 Discover was not the first time Krausz had taken a child victim of anti-Semitic violence to buy toys. Four years ago, after hearing that a Chasidic boy had been pushed out of an elevator in the Williamsburg projects after having his payos pulled and his yarmulke thrown off, Krausz took the child, identified only as Dovid, on a shopping spree. 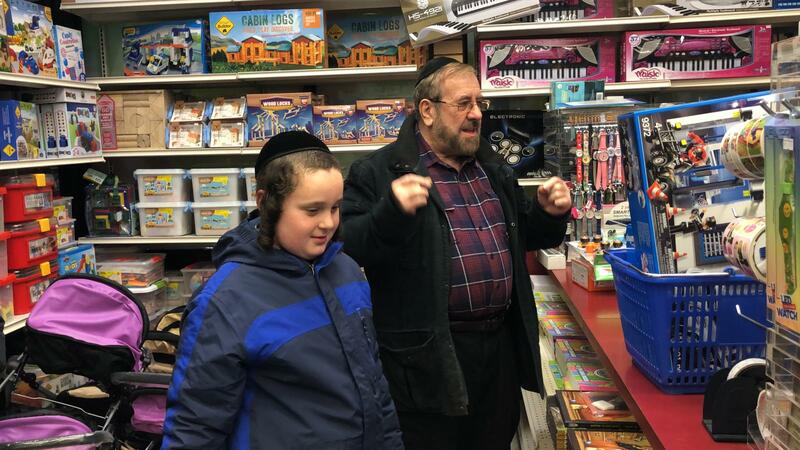 Krausz invited Dovid to join him once again for some retail therapy, this time with Shlomo Zalman for a pre-Chanukah toy blitz. Krausz and the two boys wandered through the store’s aisles and by the time they reached the register, Dovid had a basket piled high with toys, while Shlomo Zalman had two. Krausz explained to the cashier that he was hoping that his actions would send a clear message to those who perpetuate violence against Jews and asked her to extend $100 credit to Shlomo Zalman for a future purchase. Krausz himself is no stranger to anti-Semitic violence. His brother Schmiel Dovid was killed in 1975 as he walked to the dining room of Satmar Camp Rav Tov in Ellenville after being shot in the stomach by a group of teens seated in a parked car in a nearby wooded area, as reported by The New York Times (https://nyti.ms/2AytRbc). “This is a message to Jew haters,” said Krausz. “When a Jewish person gets attacked, we only get stronger and better and happier that we are Jewish. Menny with the 2 boys he took to the Toy Store. Shlomo Zalman’s mother, who spoke to VIN News on condition of anonymity, said that her son had suffered a fractured nose in the attack. 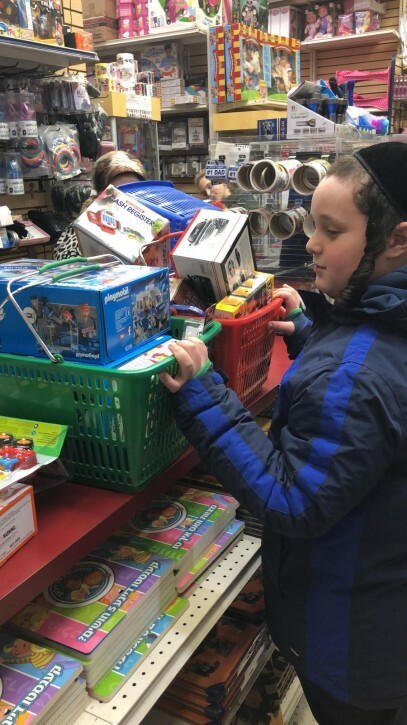 She said that Shlomo Zalman had just recently been eyeing a gas station set in the Toys 2 Discover Chanukah catalog and that she had told him that he had enough toys, but that perhaps there was another way he might still get the gas station. Shlomo Zalman’s mother said that she and her husband were overwhelmed by Krausz’s generosity. “It was a true act of chesed that he did,” said the mother. “It was a chance to go to the toy store without a mother saying ‘this is too expensive’ or ‘this is too big,’ which is like an adult going into a car dealer and being told to take whatever they want. Krausz said that he has no idea how much he spent on toys for the two boys. “I will find out when my credit card bill comes at the end of month,” said Krausz. “This was a way to turn trauma into celebration and festivity so that he could have a real neis Chanukah. And I remember clearly hearing about that murder 43 years ago. I don't recall if anyone was ever charged. Thank you for a positive example. May the joy you brought these children bring continuous simcha and nachas from your own family. I suspect this is a busy man that took the time to make a boy he doesn’t know happy. Kol hakovod. 10 min. Later happened another same incident 2 blocks away, with another boy, most probably an action of the same gangsters. Yes ..i was in camp when he was killed...i remember the trial which was in Kingston, NY...One guy was named Mason and the other was Dixon.